The head of the energy company that is seeking to become the first in the UK to start commercial fracking for gas has warned the government that its regulatory system risks “strangling” the nascent industry. Francis Egan, chief executive of Cuadrilla, called on the government to relax operating rules that have forced the company to halt work several times after it unleashed earth tremors at its fracking site in northern England. ‎Francis Egan and Claire Perry are trying to dismiss the seismic activity at Preston New Road because it hasn’t been felt at the surface – but that isn’t what we should be worrying about. If anyone is talking to the media about the earthquakes, please make the point in this meme as often as you can. Please share around your networks too. For how much longer can the Tory party refute the facts? Claire Perry keeps trumpeting on about how frustrated she is that people ignore the science associated with fracking. I have some news for her – here’s the science. Now follow it. Despite UK Government and fracking company claims, the Advertising Standards Authority find that fracking IS inconsistent with climate change. Fracked gas is NOT a bridging fuel, it is NOT cleaner than coal. Cuadrilla and Claire Perry take note (it’s more of that pesky science that Claire Perry doesn’t understand. It’s not like banking where you can change the figures to fit today’s lie, science doesn’t care if you don’t like the answer). 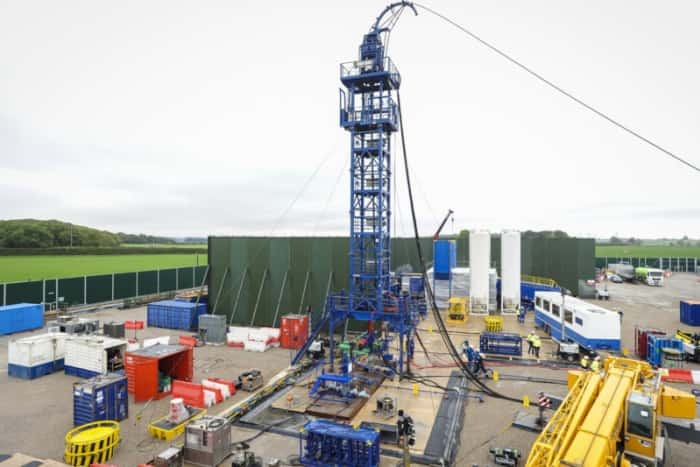 Councillors and campaigners in Lancashire are calling on the government to halt fracking at Cuadrilla’s shale gas near Blackpool following a series of earth tremors of increasing strength. 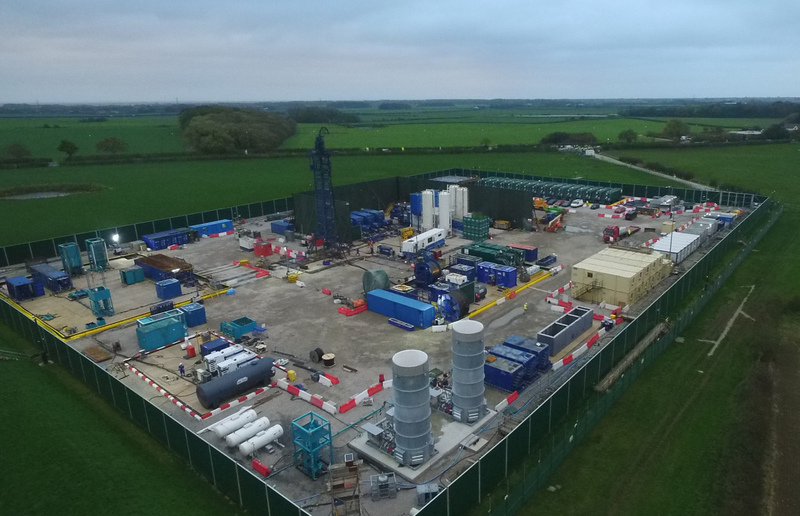 Shale gas exploration company Cuadrilla has breached environmental permits multiple times and failed to disclose full details of technical issues at its Lancashire site, a DeSmog UK investigation has found. The company breached its environmental permits seven times in 10 months in 2017, analysis of Freedom of Information requests and publicly available Environment Agency Compliance Assessment Reports shows. 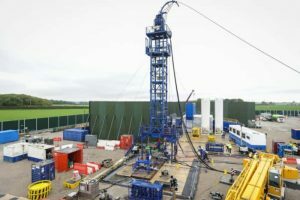 The fracking company leading the search for shale gas in North Yorkshire has warned there may be significant doubts over its ability to continue as a going concern. What does Cuadrilla actually do? What does Cuadrilla actually do?They trumpet the fact that they’re a Lancashire company (they’re not – they relocated to Bamber Bridge from Letchworth) creating Lancashire jobs for Lancashire people. Let’s look at that. They so far have 1 operational site in Lancashire. The main contractor throughout the construction phase was A.E. Yates based in Greater Manchester. Many Lancashire firms refused to deliver materials or supply plant because they don’t want fracking in their county. When drilling started, it was undertaken using a rig apparently owned by KCA Deutag (Dutch company) and was operated by the principal drilling contractor, PR Marriott (Derbyshire company). Now that the fracking process has started, (which, you’ll recall, was to be so superior to anything done in the USA), it is being undertaken by Schlumberger (American company). Claire Perry says that the UK is at the forefront of fracking and that we will export our expertise throughout the world. Mind you, she said this at the same meeting at which she pronounced – presumably also with a straight face – that such export could only happen when there was a clear “Line of Sight to Commerciality.” Such insight doubtless came as a result of “Blue Sky Thinking” and is best achieved by “Drilling Down” whilst looking “Under the Bonnet” before pausing on the “Strategic Staircase” to “Run This Up the Flagpole.” With such convoluted command of the English language, it’s easy to see how she obtained her MBA. Perhaps she seeks to emulate prime minister William Gladstone who Disraeli once memorably described as a “Sophistical Rhetorician, Inebriated by the Exuberance of his own Verbosity.” So by wrapping fracking in such strangled management-speak, Perry intends to repackage an American Ponzi scheme to sell around the world as a British invention which we don’t actually have the indigenous expertise to undertake. So what does British company Cuadrilla actually do? I just sat down to watch ‘Deepwater Horizon’ on Channel 4. It’s about the oil rig disaster which caused the biggest oil spill in American history. And who do you think the drilling company operating the rig on behalf of BP are? WITH THANKS TO MIKE HILL. So just got another 0.8 at 10:55 today (Sat 27th Oct) just on re-starting is appears. It will build up and up. A standard 2nd order differential model. A first year engineering student would be able to solve. This is utter nonsense engineering being applied here by Cuadrilla and the incredibly (engineering/science) ignorant BEIS. BBC Today R4 let Egan on to spout undiluted drivel yet refuse to let me challenge him or state the truth. Funny that. Instead John (utterly clueless/I couldn’t give a dam) Humphreys lets him make a case to be able to carry on his business by raising the TLS limit – regardless of the risks/dangers to the rest of us. It is not rocket science. It is science though and to let Egan off the hook is just so outrageous. Whilst the quakes are still “small” there is a risk of potential damage to the well at this stage. By this I mean the energy released (shaking) will create a larger annulus between the cement and the casing and create a larger gap between the cement and borehole wall (the rocks). Both act as vertical conduits allowing highly toxic radioactive fracking waste to migrate rapidly (minutes) to the aquifer (where any washouts/weak formation points are present) and potentially to water boreholes where local dairy cows are drinking from. What is Wensley thinking right now I wonder? He had the chance before it all started to back out based on advice and he refused it. I gave the same advice to all in many public meetings – what fracking is and how it will behave. I know many helped get the message out there. Unfortunately the most obvious bit (earthquakes) is now coming to pass (obvious because we know from PH1 with 48 quakes just what happens as do the Govt. and the industry). The non obvious stuff is what worries me – the leakage routes to the aquifer. The flare. Cold venting etc. A 0.8 magnitude earth tremor was recorded today near Cuadrilla’s fracking site at Preston New Road on the edge of Blackpool. The event, at 12.30pm (bst), happened while fracking was taking place, the company has confirmed. It qualifies as the first red event near the site under the government’s traffic light system regulations for induced seismicity. It is also the largest seismic event near the site since fracking began on 15 October 2018. Cuadrilla confirmed this evening there was a 0.3ML earth tremor during fracking this afternoon at its Preston New Road shale gas site near Blackpool. It was classed as an amber event under the seismic monitoring regulations, known as the traffic light system. Cuadrilla said it expected that fracking would continue as planned tomorrow.